Activity based costing helps us understand what it costs for an organization to make its products and services. It does this better than traditional cost accounting. In a nutshell, activity based costing works by turning indirect costs into direct costs. 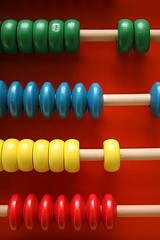 Traditional models of cost accounting work by allocating costs based on direct costs. Indirect costs are either ignored or guessed at. The result of this is that the costs of high-volume products are generally over estimated, whereas the costs involved to make low volume products are usually under estimated. Suppose we have two products produced by the same company, Product A and Product B. Product A is the company’s best selling product, and it rolls off the production line 99% of the time in a business as usual fasihon with only minor human involvement. Product B on the other hand is produced in very small batches for a particular customer and consumes just 1% of the production line. Each time this small volume product is manufactured the production line must be specially setup for it, and then the first 100 or so products from the line tested individually by employees to ensure they are within tolerance. What happens with traditional cost accounting…. If the company were to use traditional cost accounting, then the direct costs for product A would be fairly easy to calculate and fairly high, as lots of products are produced, therefore there are lots of imput raw materials and time spent using the expensive machines of the production line. Indirect costs might simply be shared equally across all products produced. If we assume for the purpose of our example that the company produces just 2 products, then 50% of all of the company’s indirect costs will be attributed to product A, and 50% to product B. This will obviously result in disproportionate indirect costs going to product A compared to product B, as the reality is that product A consumes very little of the organizations indirect costs. This information is very important, particularly where a company prices its products based on a percentage markup of production costs. In our example, with traditional cost accounting the costs that have gone into our low volume product have been underestimated, potentially resulting in much less margin being made on this product line than anticipated (the product could even be loss making!). Ultimately the problem is that for both products we don’t have an accurate picture of our break-even point. Activity Based Costing recognises that activities consume indirect costs. We begin by calculating the cost of our different activities. Next we assign each of the activities to the product that required them. Going back to our example, this means that product B will be assigned the majority of the costs of production line setup and testing. Product A won’t be assigned costs for special testing, and will only be assigned a small proportion of the cost for production line setup. To these costs we add the direct costs in exactly the same way as we do for traditional cost accounting. We will obviously now have a much better picture of the ‘real’ costs involved in producing the company’s products. Activity Based Costing is worth understanding whether you’re a CEO, program manager, or an accountant. Essentially Activity Based Costing helps us create a much more realistic picture of costs incurred when we create products or services. Traditional cost accounting accounts for direct costs accurately and then makes an educated guess as to the indirect costs. Activity Based Costing works the same way as traditional cost accounting for direct costs, but really tries to understand the detail behind indirect costs to create a much more realistic picture of actual costs. Ultimately, this helps businesses more accurately understand their break-even points on a product by product basis.